The answer: microgravity. Just think of how much 3D printing relies on gravity to work. The whole process involves printing layers from the bottom up, and often involves heating some of those materials so they remain cohesive. Without gravity, those layers would float around right after they were printed, resulting in a big mess and no usable parts—and cranky astronauts. Under contract with NASA, the appropriately named California-based company Made In Space has been working on this problem for a while now, and has finally figured out how to make a 3D printer function in microgravity. They aren’t particularly forthcoming about the technology they use, but they have tested their Zero-G printer on over 400 parabola test flights, so this thing is ready for action. 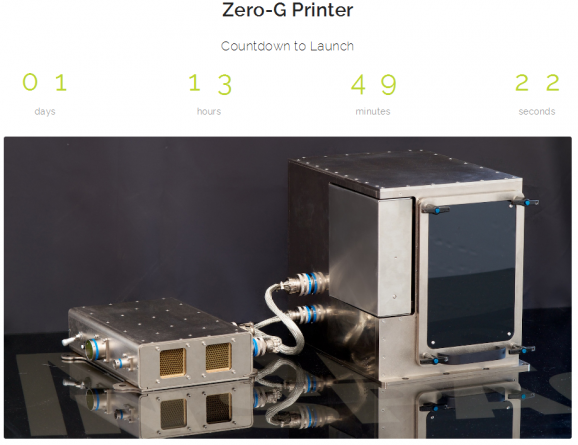 The Zero-G printer is roughly the size of a microwave, and likely uses lasers to produce metals. It can print plastics and other materials as well, so even if a printed piece ends up not working or fitting for some reason, a quick edit to the CAD file is all it should take to print another. The presence of a 3D printer on the ISS will likely revolutionize the current system for testing parts and making improvements to equipment. It’s also possible that such a printer will prove invaluable on future missions, such as manned missions to Mars. Another use for the printer would be to print food for the astronauts. While experiments are currently in motion to test the feasibility of growing food in space, printable edibles could expand the dietary regime of space explorers exponentially—provided, of course, that the raw materials are available.